In our final 2011 NFL Draft positional preview piece on running backs, the fan voting was among the tighest. Alabama’s Mark Ingram garnered the most votes with 38% but following right behind was Illinois’ Mikel Leshoure who had 36%. Virginia Tech’s Ryan Williams rounded out the top three with 16% of the fan vote. Now that our positional specific pieces are complete we’ll turn our attention to the top overall prospects in the draft. Starting Monday for the next 8 weekdays before the NFL Draft starts on April 28th, we will take an in-depth look at the players that the Bills might select with the 3rd choice. Make sure you check out the media center for all our draft preview coverage. The top three draft prospects out of the University of Illinois are standing on their workout numbers from the NFL combine. DT Corey Liuget, ILB Martez Wilson and RB Mikel LeShoure only did position drill work for NFL clubs on hand at their pro day according to FightingIllini.com. FightingIllini.com is reporting that 30 NFL clubs were represented including the Bills. 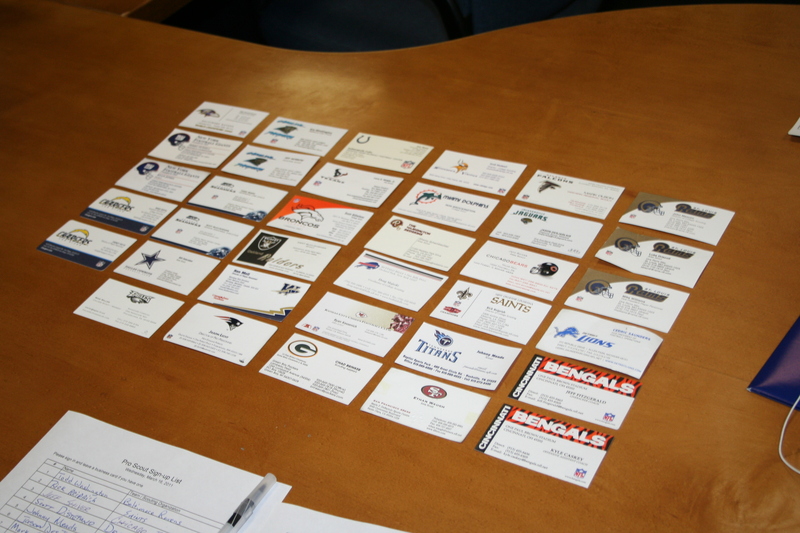 Only Tampa Bay and Arizona were not in attendance and they even provided photographic evidence of what teams attended with a lineup of the scouts business cards who were on hand. 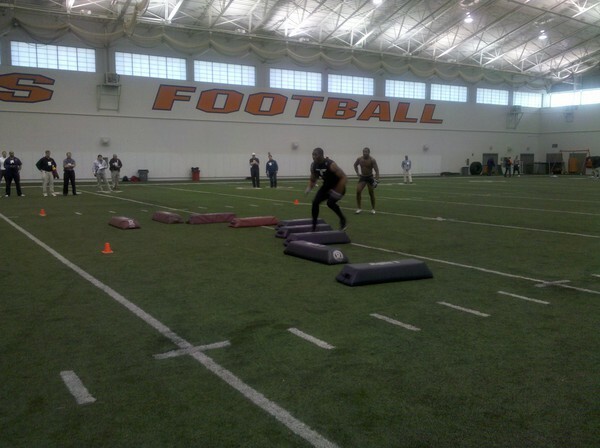 Below that is also a shot of Wilson going through an agility drill courtesy of the Illini website. Wilson had one of the more impressive combine workouts with a 4.49 40-time, 20 reps on the bench, 36-inch vertical and 10’4″ broad jump in Indy at almost 6’4″ and 250 pounds.